Doors open at 5 p.m., show starts at 6:30 p.m.
General Admission $40.50. Service fees not included. 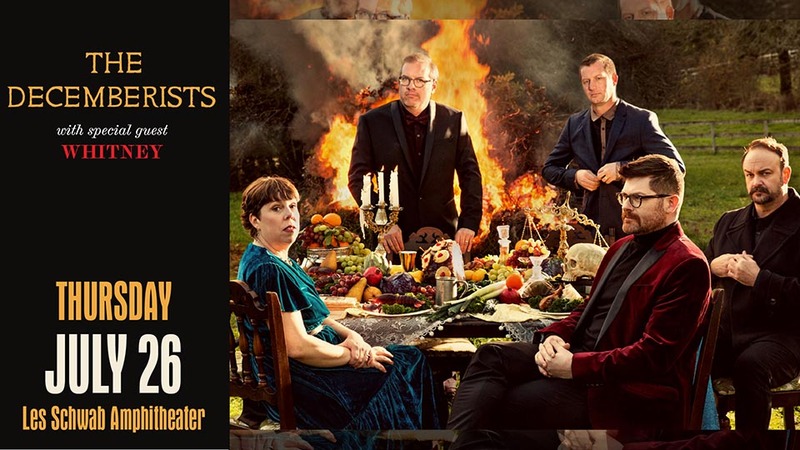 With I’ll Be Your Girl, the Decemberists — lead vocalist and guitarist Meloy, guitarist Chris Funk, keyboardist Jenny Conlee, bassist Nate Query, and drummer John Moen — explore new approaches to making music and broaden their sonic range. It’s the group’s follow-up to 2015’s What a Terrible World, What a Beautiful World.